I’ve tasted Pinot Noir from Burgundy and from a vineyard in New Zealand that so resembled that from Burgundy, I doubt many people would be able to identify them correctly in a blind tasting. I have had “Pinot Noir” from Germany (Spatburgunder) and Macedonia and Pinot Noir in California and Oregon and estate grown on vineyards in Michigan. Many were delicious; some – highly rated – left me unimpressed. Others, from which I had not expected much, surprised and delighted. At such times, I’m reminded of the art cliché: “I don’t know what makes for good art, but I know what I like.” Putting aside obvious defects like corked wine or one affected by Brett or other obvious faults, appreciating wine is subjective. Pliny the Elder nailed that simple truth over two thousand years ago. And while traditionally, the wine world has embraced the “French” style as the epitome of the craft, you have every right to prefer a more fruit forward “new world” style is that is your liking. 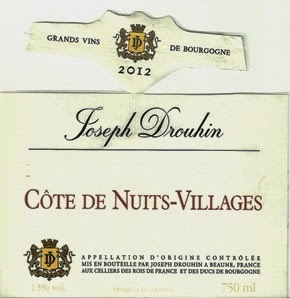 All of which brings me to a comparison of two wines, both Pinot Noir, both bearing the name Drouhin. Both 2012. One from the Cote De Nuit in Burgundy, the other from Dundee Hills in the Willamette Valley AVA of Oregon about 28 miles southwest of Portland. For the tasting, I invited another wine writer and a casual appreciator. Wines were served side by side, in identical glasses and my guests did not know which wine was in which glass. A lot has been written about terroir, some by me, and about wines that offer a sense of place in their taste. Could these wines really be similar? In 1987, Burgundy’s Maison Joseph Drouhin established the vineyard in Dundee believing the area to be ideal for growing Pinot Noir. 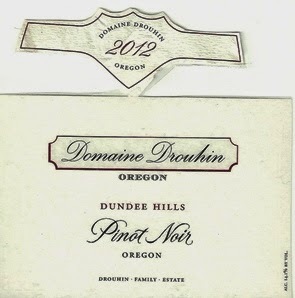 Today, Veronique Drouhin-Boss and Phillipe Drouhin (4th generation winemaker and viticulturist) are responsible for the output of Oregon’s “DDO” (Domaine Drouhin Oregon). 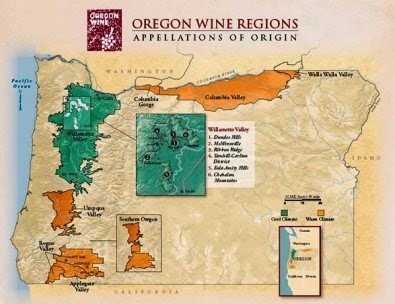 Even the back label proudly proclaims “French Soul, Oregon Soil.” So one family, one varietal, a shared philosophy of winemaking --- but thousands of miles apart. In the glass, side by side, the wines looked the same. The wine from Burgundy (since I poured, I knew which wine was in what glass) offered a nose of subdued but ripe black fruit. With air, it developed brighter, more cherry notes. DDO’s nose, however, was brighter with immediate notes of cherry. Conversely, these notes became more restrained with exposure. I have to say that I was struck by the similarities in the wines, though there were other differences. The Burgundy offered a hint of earthy mushroom in the taste. The finish was dry and with more tannin and mineral evident. The DDO seemed lighter overall, though more “peppery”. At 14.1% vs. 13% alcohol in the French, that explained the “pepper” burn. But its finish was clean and nicely acid crisp. The casual appreciator originally preferred the DDO from Oregon, but then changed her mind and voted for the Burgundy. The other wine writer opined that Number 1 (the Burgundy) was more graceful and with better aromatics, although – he said – number 2 was more structured. Overall, he preferred the Burgundy. I enjoyed both wines but preferred the Burgundy immediately and throughout, though I generally have a preference for “old world” style and was aware of which wine was being tasted. I was also aware of something else I did not reveal to my guests. The Burgundy cost $24 and the DDO cost $40. 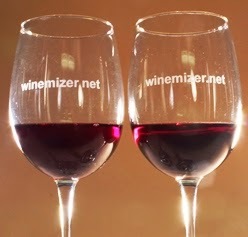 Follow Wine Mizer on Face Book for mini-reviews, fun facts, recipes and more. · These erudite understandings of Pinot Noir were spoken by the same Miles Raymond who later drank from the spit bucket on the counter in a tasting room.